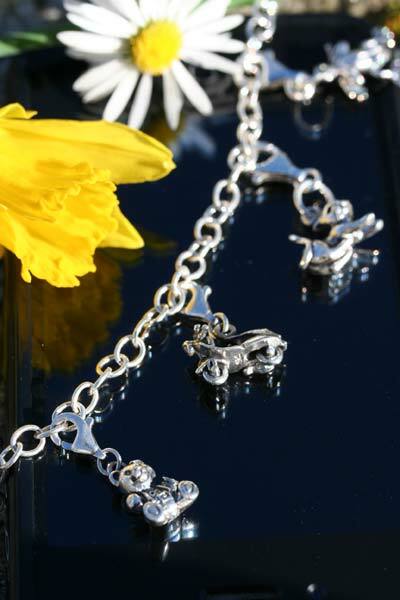 Spring sees the return of our old classic, the silver charm bracelet. Available in our plymouth shop, the charm bracelet is a unique and personal item of jewellery with its formation being left to the wishes of its wearer. A prosperous new year to all our customers. This year we predict will see a moderate rise in silver prices as a fall in oil prices is likely. Happy Christmas to all our customers. 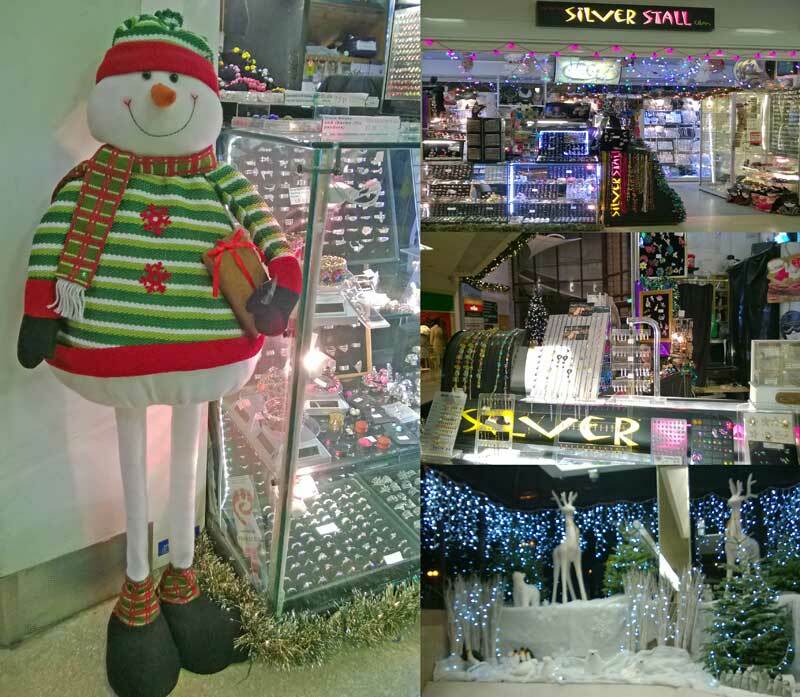 Our shop in Babbacombe will not quite be ready for xmas however popular Peter the silverstall snowman fronts this years silverstall xmas decorations. Poppy Jewellery should in our submission be bought only direct from the British legion as there are no are no controls or checks on who can sell poppy jewellery. We do not sell it because we believe allowing retailers to sell poppy jewellery encourages rogue and unscrupulous dealers who keep all the proceeds themselves. 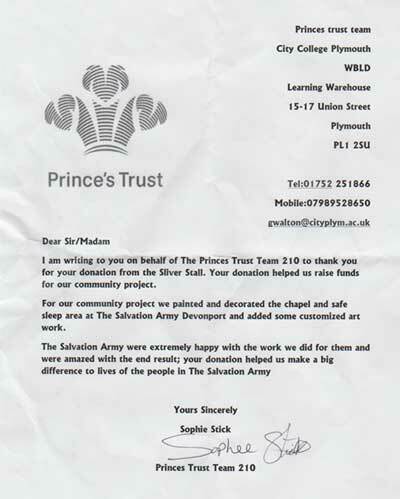 Our small contribution to the Princes Trust Charity helped to make a big difference to the people in the Salvation Army. The silver bangle is rising in popularity again with the plain simple bangle being a current favourite and in strong demand on the high street. Warnings have been issued over the retail of loom bands. The colourful bands have been withdrawn from the shelves of many leading fashion accessory and jewellery shops. Evidently there is a high risk of skin cancer linked to the carcegen contained in the loom bands. The carcegens are found in the chemicals used to make the bands more elastic. The price of silver has throughout spring and early summer flat-lined although global tensions are likely to increase demand. 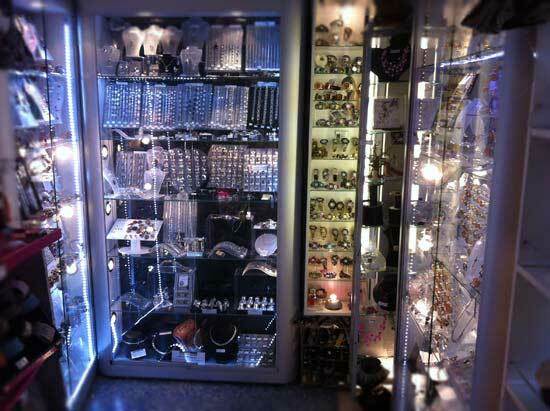 Our Plymouth shop shines with silver in the sunshine of this hot month. This season sees a big demand for plain silver bangles. The bangles blend with the colour of any outfit and make an outstanding accessory. We are giving this website a new look. The responsive layout means it should become easier to read and navigate in mobiles and tablets. This spring sees a resurgence in demand for crystals and zircons. It seems bling is still an essential ingredient to add sparkle to today's fashion. Happy Valentines to all our customers. This year has been dampened by torrential rain and floods however the spirit of Valentine lives on. Silver Jewellery will provide that enduring gift to make this years Valentine a special one. Happy new year to all our loyal customers. For this xmas we are reintroducing an old classic. The sterling silver marcasite bracelet which features some stunning faceted garnets. A merry Christmas to all our loyal supporters. In our shop we have a new and exciting range of beaded crystal jewellery. The necklaces are hand made in Plymouth and will appear on site next year. We are sorry we cannot publish them sooner however we need to protect their designs from nearby Xmas plagiarists. 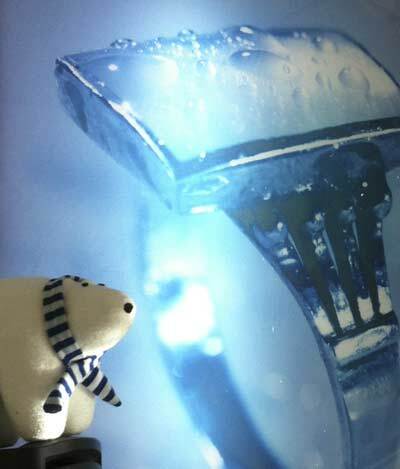 In the meantime the silverstall xmas bear has paid a visit for his jewellery presents. Google as a method of payment has now been closed for online retailers (except games etc) and therefore paypal is the only method we accept. A big thank you to all those who voted for us however due to threats, intimidation and irregularities in the competition we have withdrawn our name. We have been forced to publish this statement now, (2 weeks before the competition ends) before we get accused of "sour grapes" as the winners are yet to be chosen. Whilst we support the Evening Herald there remains some serious unresolved issues with the Plymouth City Centre Company. Google Checkout is being phased out. Google checkout or as it is sometimes known google wallet is being phased out for all online purchases except for apps through google play. Therefore over the next few weeks we will be withdrawing the google checkout facility from our items until eventually by the end of September you will not be able to use google checkout. The Google wallet scheme closes in November however we have to allow a 2 month period to ensure refunds are properly available. Price of Silver stabilises but Gold continues to fall. Whilst the past 2 months have witnessed a steep decline in Gold and Silver prices one of the contributory factors in its decline has been India. For over a decade India has been a driving force in the demand for Gold however recently they have switched that demand from Gold to Silver. Therefore we anticipate Gold prices to further decline however the price of Silver ought to remain stable and indeed may even see a small rise over the next quarter. 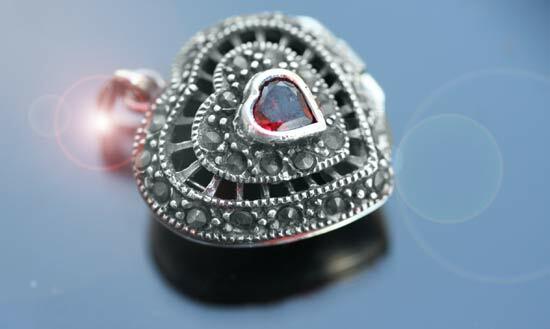 June sees the return of some classic items of silver jewellery such as the much loved garnet locket. This month sees the rapid fall in silver and gold prices. Partly due to a surge in equities and partly due to the selling of national reserves by Italy, Greece and other countries. 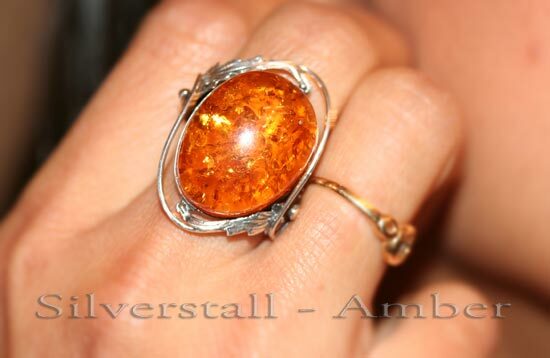 Amber rings compliment perfectly that spring outfit. This spring the natural colours of this precious resin can add colour and class to any adornment. Despite recent stability in silver prices, the currency markets remain volatile with sterling losing much of its value against a basket of currencies. This means importing raw silver will become more expensive for us and regrettably could lead to unwanted price increases. That said we have seen a remarkable growth in our exports, in particular to Australia, China and Brazil. The devalued pound has made our prices extremely competitive. May we wish all our customers a very happy new year which we hope is reflected in our special new year shop display. Raw silver prices continue to fluctuate throughout the year, although due to the worries over Ukraine combined with Global inflationary pressures, we predict that by the end of the year the price of silver, will like Gold, rise. A pink diamond over 50 carats remains mysteriously lost although its owner - Sylla Moussa - has been in the news quite frequently claiming it was lost by a storage company.